Is there a better alternative to Backpack? Is Backpack really the best app in Desktop category? Will Backpack work good on macOS 10.13.4? This widget is the Dashboard counterpart to Backpack, a popular information management application by 37signals. 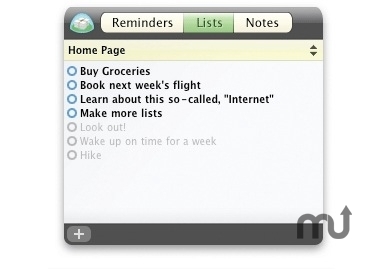 In this widget, you can manage reminders, lists and notes for all of your existing Backpack pages. Also, if you have Growl, reminders can be displayed on screen for you! A very handy feature. Backpack needs a rating. Be the first to rate this app and get the discussion started!